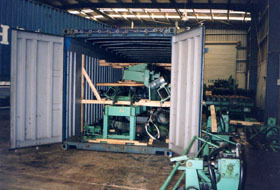 Installation, local or overseas, including sourcing of equipment and removal from another plant back to yours. Equipment can be old or new and it can be retro fitted to your existing production line. This sand reclamation plant required the top deck to be replaced as it had rusted out due to the aggresive nature of the environment.